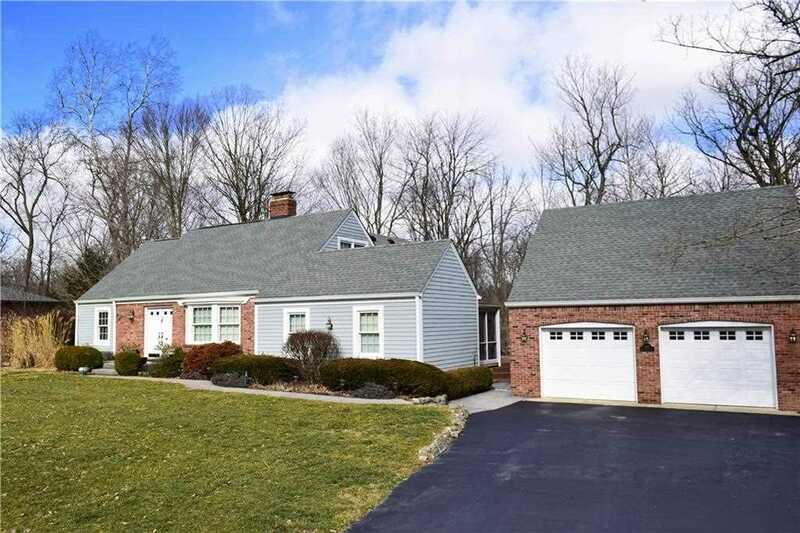 This well maintained home has been loved & updated with care over the years. It feels like an English cottage! The kitchen overlooks the spacious great room & was updated with cherry cabinets, nice stainless appliances, corian countertop & reverse osmosis water system. The great room has 10 ft ceilings & two walls full of windows for a peaceful view to the wooded back yard. Upstairs is the spacious, private master suite. The home office on the main level, acts as a spare bed/2nd master since is has it's own private bathroom & entrance. Screened porch, multi level deck, walkout basement & oversized garage! Set on 1 acre on a quiet street just west of Eagle creek, you have the benefits of both privacy & easy access to all daily conveniences. Directions:From Potters Pike and 56th Street, go south on Potters Pike. Turn west on 52nd Street. Second home on the right. SchoolsClick map icons below to view information for schools near 8840 W 52nd Street Indianapolis, IN 46234. Home for sale at 8840 W 52nd Street Indianapolis, IN 46234. Description: The property at 8840 W 52nd Street Indianapolis, IN 46234 in Marion county with the BLC / MLS 21618225 is currently listed for $360,000 and has been on this site for 66 days. You are viewing the MIBOR listing details of the property for sale at 8840 W 52nd Street Indianapolis, IN 46234, which features 4 bedrooms and 3 bathrooms, and is approximately 4418 sq.ft. in size.